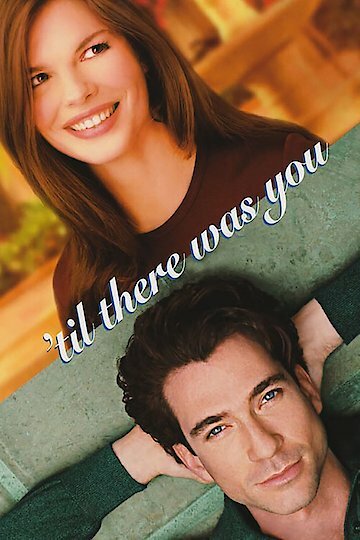 'Til There Was You is a romantic comedy released in 1997, starring Jeanne Tripplehorn, Jennifer Aniston, Dylan McDermott, and Sarah Jessica Parker. The film tracks approximately 30 years in the lives of the two main characters (Tripplehorn and McDermott). Gwen (Tripplehorn) plays a wistful writer hoping to someday meet the man of her dreams, while Nick (McDermott) is a driven architect haunted by his father's failed artistic dreams. The two cross paths multiple times over the years but somehow, never meet in any significant way until, inevitably, they end up on the same side of a common goal. Attempting to preserve a historic building in their town makes both Gwen and Nick realize what's important in life, even while it opens the doors of possibility to both of them in terms of what has been there, just under the surface, all along.